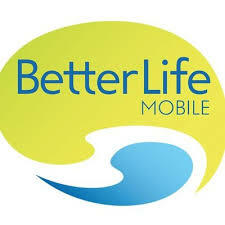 Find here Better Life Mobile coupons and vouchers. Better Life Mobile is a B Corp certified Social Enterprise established to provide great value mobile plans with a focus on ensuring all Australian’s have access to connectivity without financial risk and with all Australian based support. We offer all Australians an affordable mobile phone plan with first-rate coverage that never goes over the set rate. Too often, customers are confused by big and unexpected bills and end up paying for things they don’t need. For those on low incomes, this means disconnection from their mobile phone and disconnection from welfare and social support. We know that the mobile phone is a lifeline in our modern world. It delivers immediate connection, which is particularly vital for the homeless and disadvantaged in our community. Better Life Mobile believes that everyone deserves the right to be connected. In November 2015, Better Life Mobile launched nationally with Australia’s most trusted network, and now serves thousands of customers across the country.